Indigenous peoples have always had governance. This fact has been a matter of great debate among Canadian politicians and scholars for many years, but there is little doubt that Indigenous Nations had developed for themselves complex systems of government prior to colonization. The important questions that need to be asked today do not concern the pre-existence of Indigenous government but instead raise question of the existence of Indigenous government today. Are Indian Act band councils governments? What about ‘traditional’ governments? What about self-government? 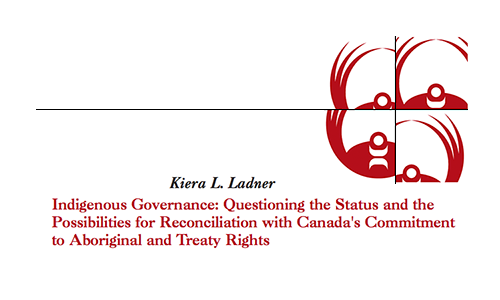 This paper responds to such questions concerning the status of Indigenous governments as governments and considers their place in the federal and constitutional order of Canada.